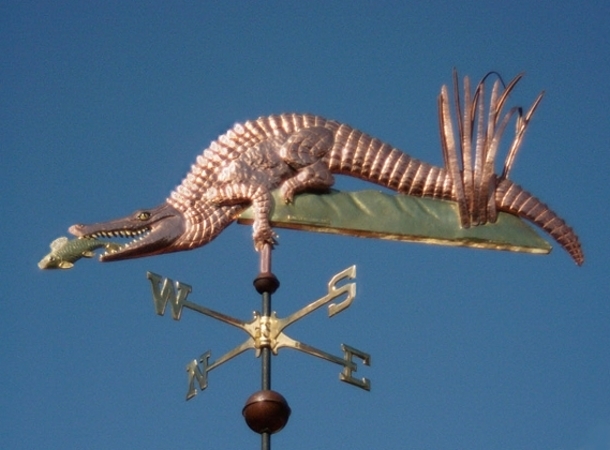 The Alligator Weather Vane, Alligator mississippiensis, featured in this photo consists of a copper reptile and reeds with a brass sandy bank and fish. The teeth were gold leafed (optional). 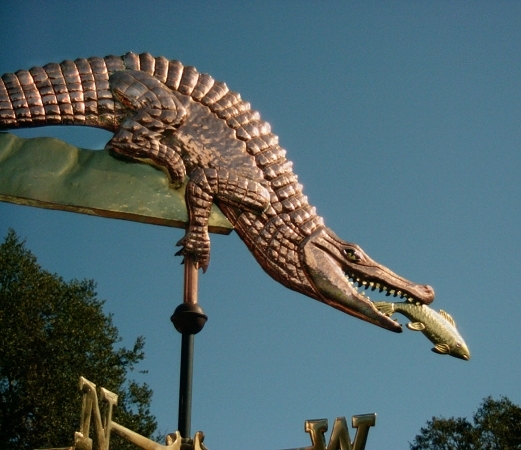 As the weathervane ages and starts to patina, the teeth will stay a shiny golden color as the copper and brass gradually turn a deep chocolate brown and eventually turn green. 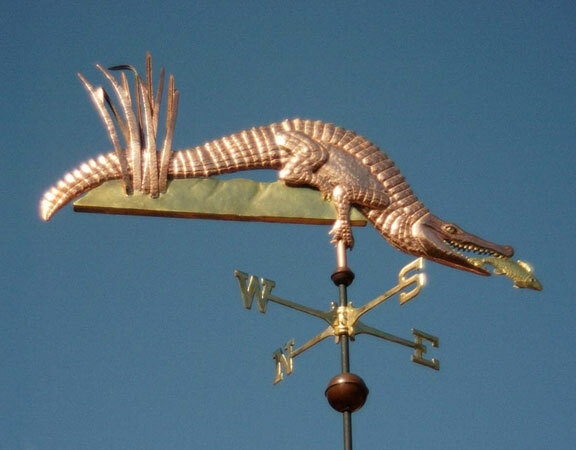 The glass eyes were custom made for this weather vane and feature lifelike vertical black slit pupils. 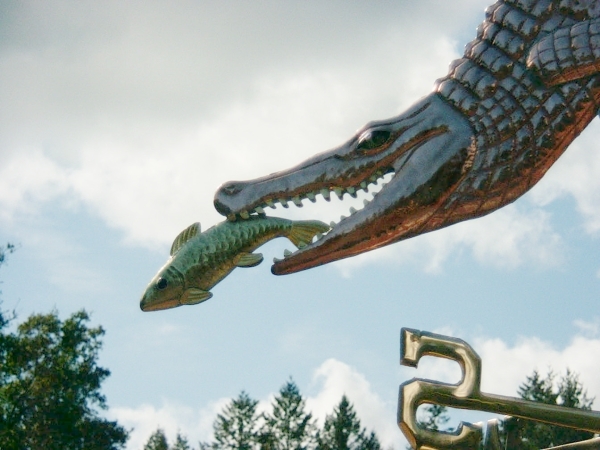 An iconic denizen of swamps and intertidal areas, especially in the southernmost states, it is a popular mascot for a number of sports team. To honor their famously predatory nature, our alligator is shown sliding off a riverbank in pursuit of its prey.